Educator and researcher, Shelly Johnson has spent more than two decades working for Aboriginal communities. In 2011, Johnson earned her Doctor of Education in Educational Leadership and Policy at the University of British Columbia and then joined the Faculty of Social Work as an assistant professor. Her doctoral thesis I Screamed Internally for a Long Time: Traumatized Urban Indigenous Children in Canadian Child Protection and Education Systems examined the over-representation of First Nations children in the child protection system, and the social and political forces that put them at risk. Johnson draws on both her personal and professional experiences to teach future generations of social workers. She is a member of the Keeseekoose First Nation in Saskatchewan, and served as chief executive officer of a First Nations child and family services agency in Victoria. She serves on the board of directors of the Canadian Association of Social Work Education and chairs the national Indigenous Social Work Educators Network. Johnson is currently the principal investigator on four research projects, including one to support Musqueam culture and language revitalization, funded by the Social Sciences and Humanities Research Council of Canada (SSHRC). She is part of a national multi-year SSHRC grant to conduct community-based urban Indigenous research. 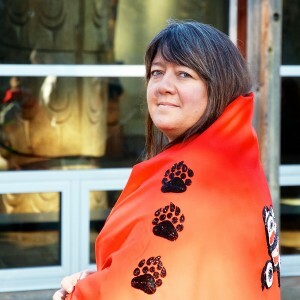 In 2013, Johnson was named the UBC Peter Wall Institute for Advanced Studies Early Career Scholar, in support of her research on indigenizing higher education, cultural self-determination and activism. In 2008, Johnson was recognized with a Governor General’s Canadian Leadership Award, and received an Honorary Citizen of the Year award from the City of Victoria, BC in 2006.